From the crime-ridden Gotham City of the near future comes Frank Miller's rendition of Batman! From Miller's iconic graphic novel, The Dark Knight Returns, the memorable look is re-imagined in Pop! Vinyl format and only available as a Previews Exclusive. 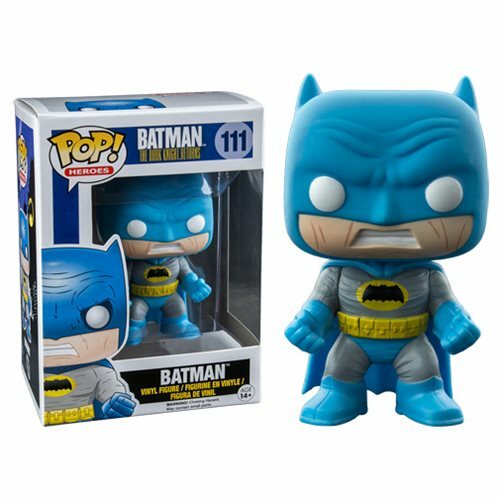 This Batman: The Dark Knight Returns Batman Blue Version Pop! Vinyl Figure measures approximately 3 3/4-inches tall and comes packaged in a stickered window display box. Ages 14 and up.